From the deposed Soviet leader who lost his wife to cancer, to the Latin lover and the million-dollar mermaid, to the pop star and the woman accused of breaking up the Beatles, and the one of the few enduring marriages in Hollywood, these are some of the greatest love stories ever told. Plundering a wealth of film archive, these programmes take viewers behind-the-scenes and unlock the secrets to the headline romances which captured the imagination of us all. It is the largest and most internationally based series on this subject ever produced. was cut tragically short by a boating accident. spread the message: "give peace a chance". stand on animals’ rights, and her premature death from cancer in 1998 saddened millions. method actors of his generation lasted through a turbulent decade. but cancer claimed Gilda after five short years. producer, he made a star of his second. 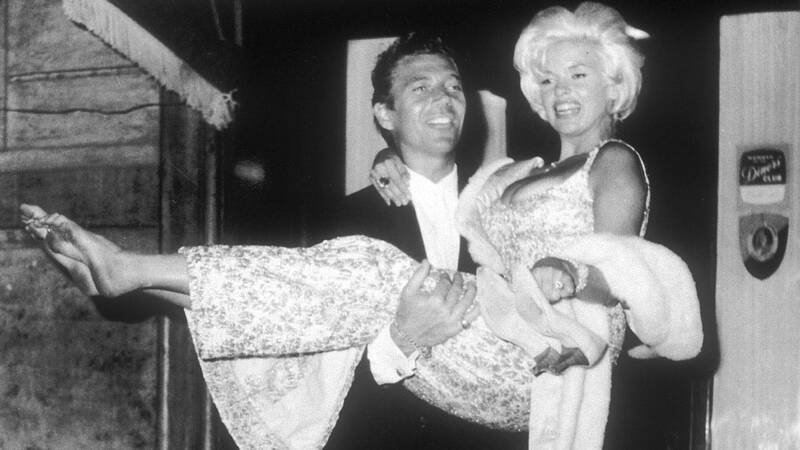 glamorous marriage between JFK's heir and his beautiful PR girl wife. antidote to cynics who claim that genuine romance cannot flourish in Tinseltown. British-born actress Jill Ireland until her death after a long battle with cancer. to most child stars who prove unable to grow up, her adult life has been crammed with achievements. was passionate, stormy – and doomed. romance with Shirlee proved in a rock in a stormy private life. supported him by subordinating her career to his and providing him with a famous daughter. chronicled in her best-selling autobiography. Reville gives an intriguing insight into the master director's character. glittering future beckoned. But their hopes of happiness were dashed by the birth of a severely retarded daughter. life of one of Britain's greatest actors. the heroine of so many of her movies. chorus dancer, Evelyn Keyes.Their stormy relationship lasted four passion-filled years. caused inevitably doomed the marriage. husband's side throughout an extraordinary career which changed the face of world politics. second husband, their love was meant to last and they have been together ever since. equal the love story they lived. Her career began as 'sister' to the world's most famous dummy, then blossomed as a model, actress and photojournalist.